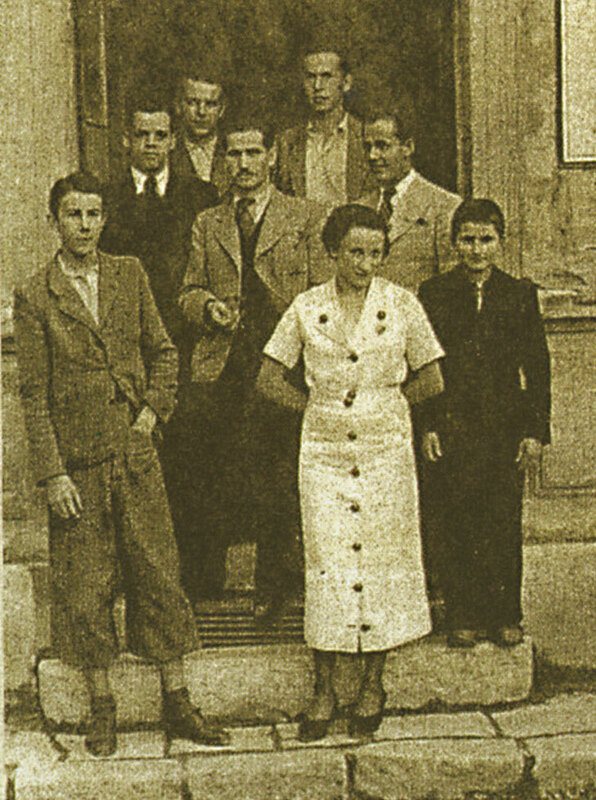 My father’s family, the Montiljos. My grandfather was a textile merchant and died in 1941. 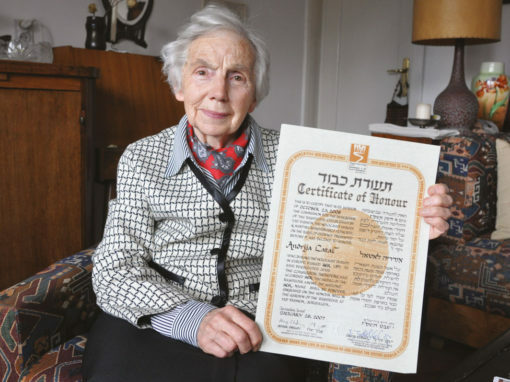 My grandmother survived the war in hiding, then left for Israel, where she spent the rest of her life. Eight of her eleven children were murdered. 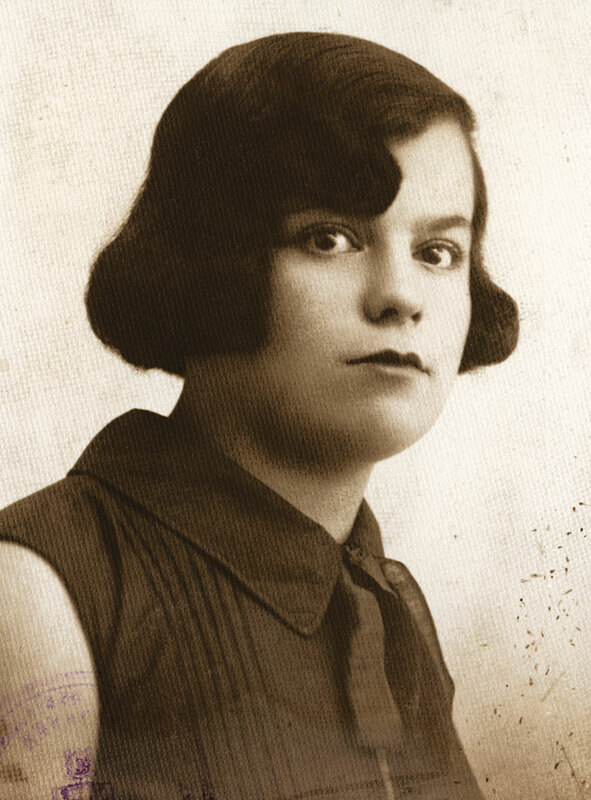 My mother, Flora Kohen, before her marriage. She was literate, unlike many women in our predominantly Muslim neighborhood. When they needed to read or write, they came to her for help. She really liked her neighbors. The feeling was mutual and I’m sure that’s why they protected us. 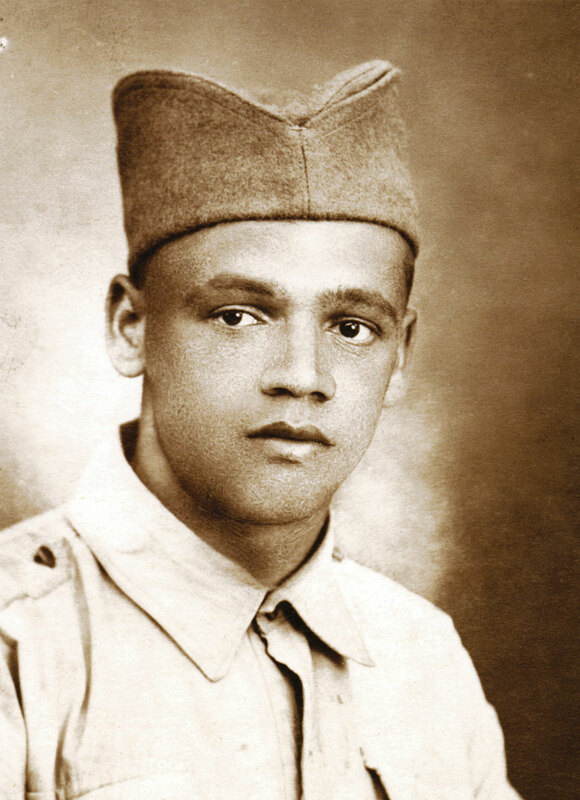 My father Menahem Montiljo during his army service. He was a tailor by trade. 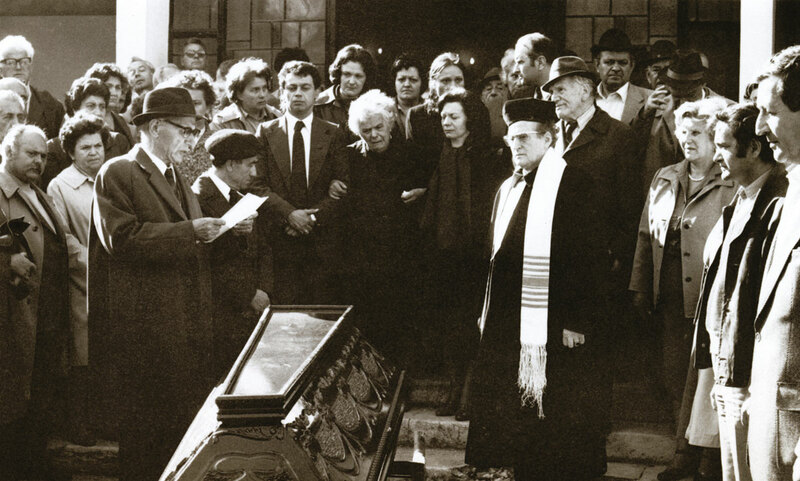 He was gregarious and loved to eat, drink, and sing Ladino songs. My mother cautioned him about his excesses. I guess it worked – after the war he devoted himself to the Jewish community. 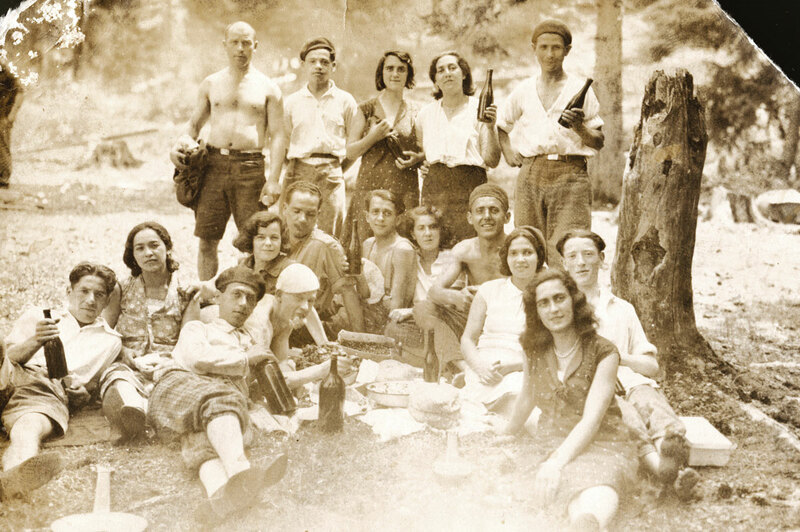 My parents with friends along the Miljacka River. Fourth from left is my mother and to her left is my father. 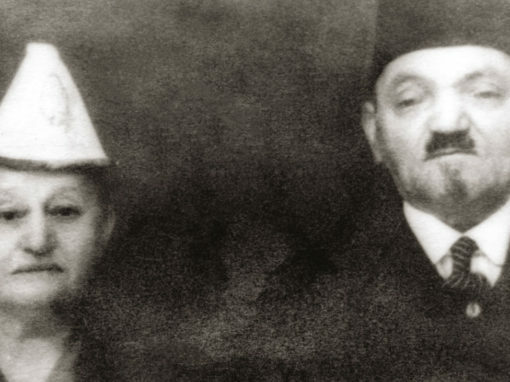 They met in the Jewish community, and dated for years before they married in 1939. 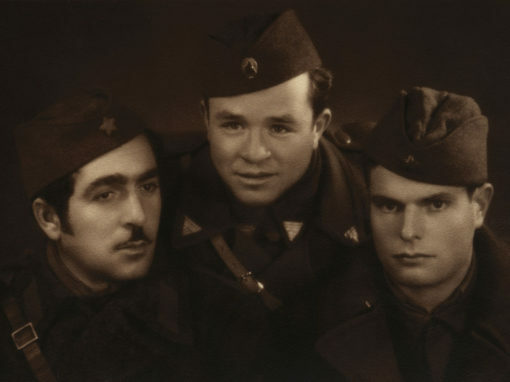 During the war, my father’s Croatian boss, Gavro Perkusic [in the center], saved both my father and us. 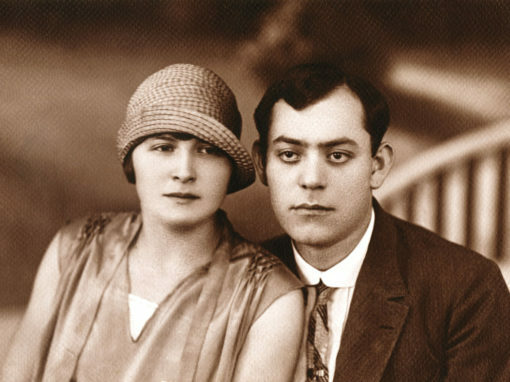 When a raid was planned to round up Jews and Serbs he hid my father in his tailor shop. Several times my mother, brother, and I were taken to detention centers but he got us released. 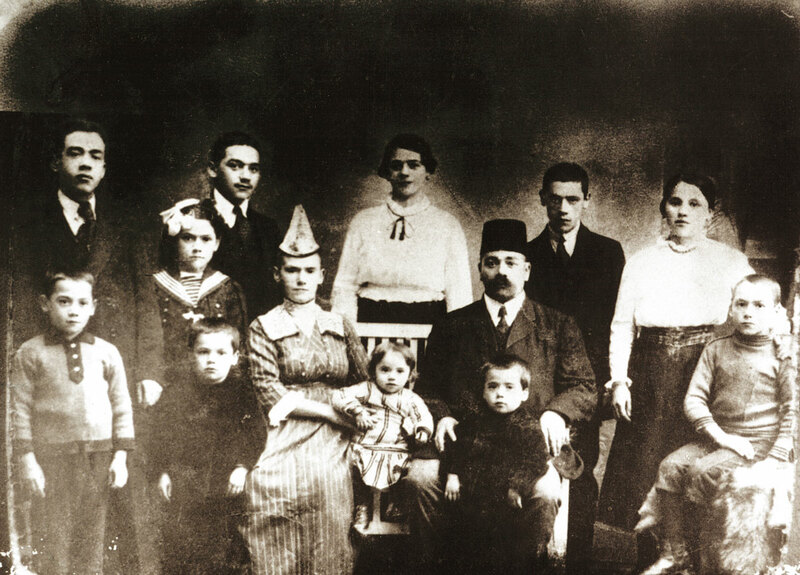 After the war, Mr. Perkusic was awarded by Yad Vashem as a Righteous Among the Nations for saving our lives. But our Muslim neighbors also protected us. The day of my father’s funeral. During his lifetime he received several awards for his social involvement. 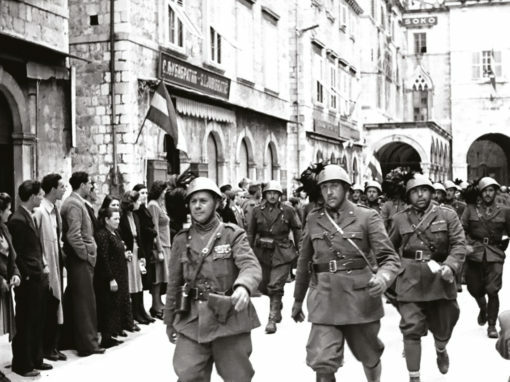 He was one of the few people who were regularly involved in religious events after the war. He attended weekly Friday night services. Not many did. Hundreds of people came to honor him. My mother died six months later. 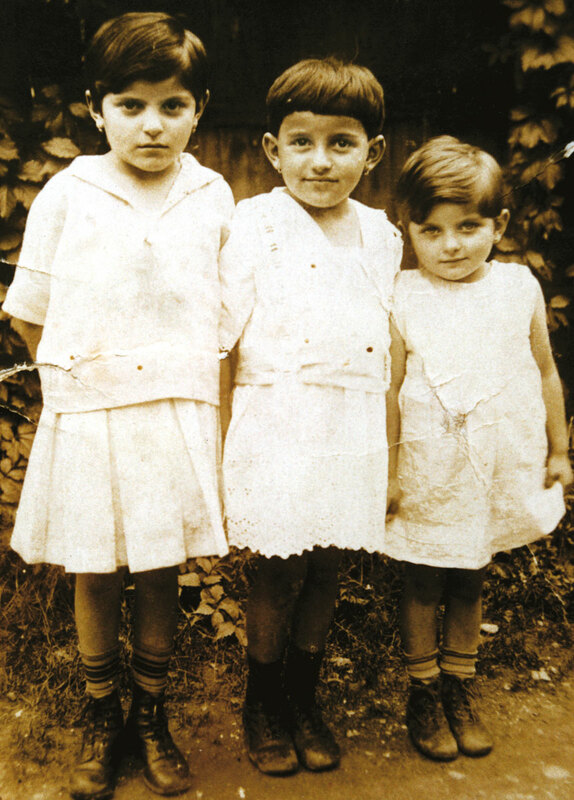 My sisters, with me in the middle. 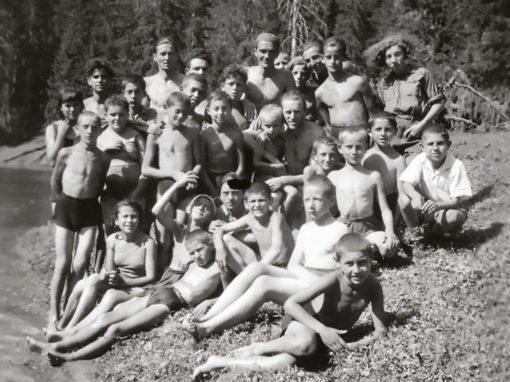 There were pleasant and unpleasant days during our schooling there, since we were the only Jews. 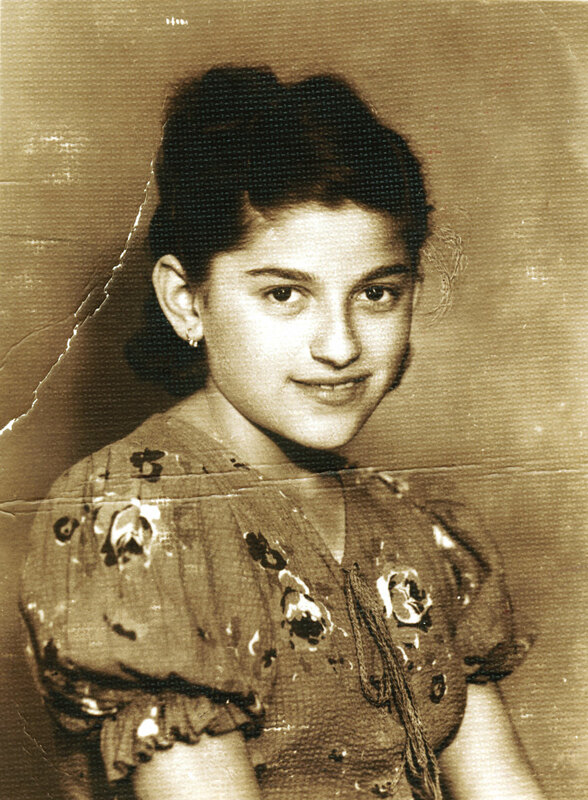 Sometimes the other children called us cifuti, a pejorative, derived from Turkish, for Jew meaning “devil.” We complained to our parents and they told us that we should be modest, not to stand out, and to try to act like the others. My Zionist youth group in Banja Luka. I am in the center. 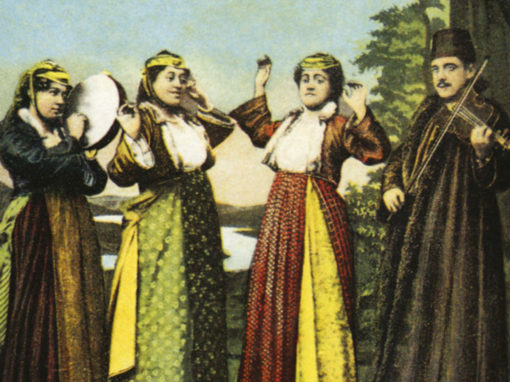 We learned Hebrew, Jewish history, Jewish songs and dances. We danced and had picnics. 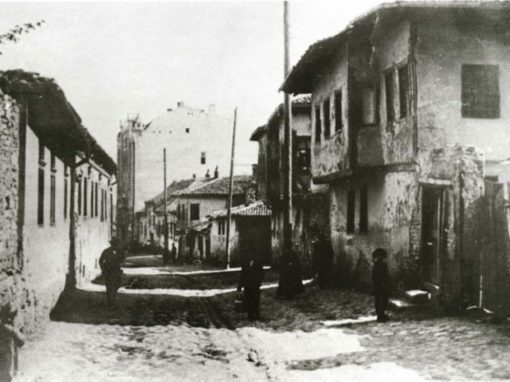 When we passed through the town everyone knew that we were Jews because we were dressed in clean clothes, not luxuriously, but very neat, and we always behaved ourselves properly. This picture of me was taken when I was in high school. The director tried to expel me because I was a Jew. Only later did I find out that my teachers came to my defense. If we must throw someone out, they argued, it should be a younger student who has time to transfer to a trade rather than myself, who was near graduation. Thanks to them I stayed. 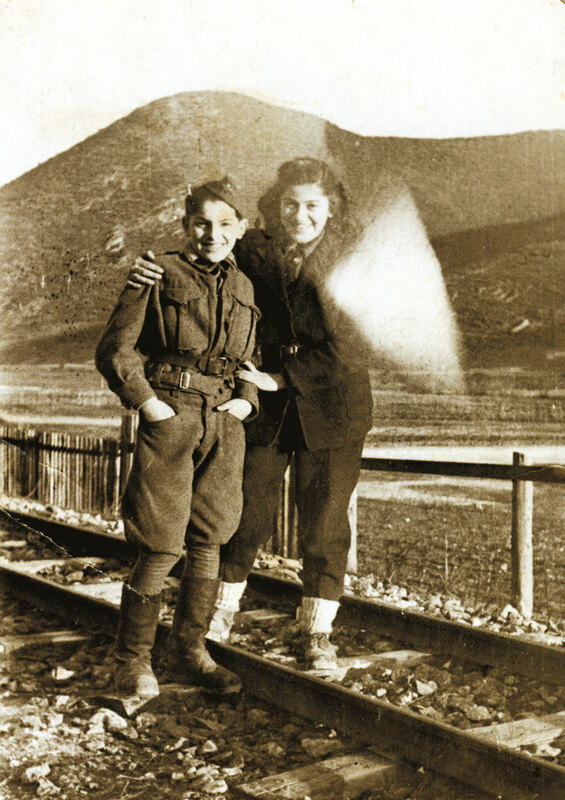 My brother, Moric, and me near Travnik in 1944. 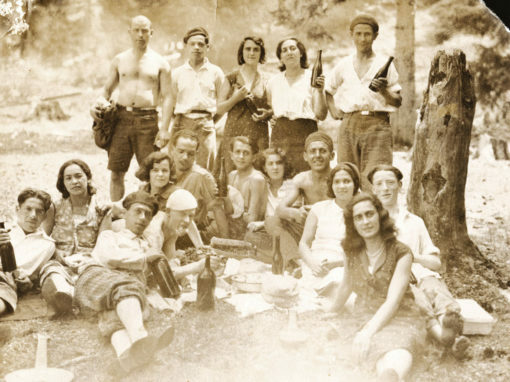 When war came, the Ustaše took my family to a camp in Bosanski Petrovac. I was staying with my aunt and the Ustasˇe demanded she give me up, too. So I fled and joined the Partisans. 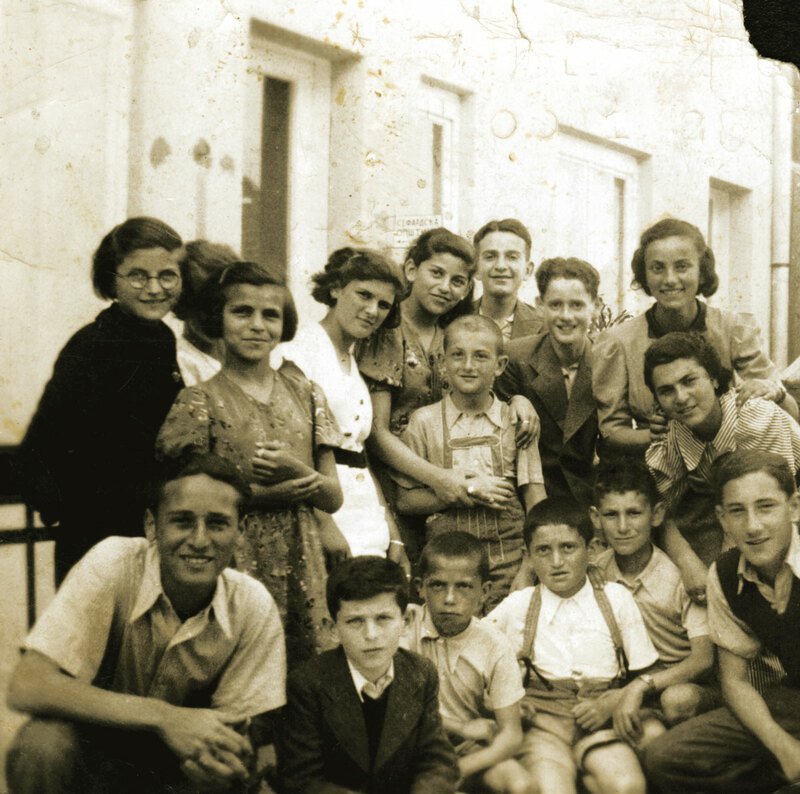 My family was supposed to be transferred to Jasenovac concentration camp, where they would surely have perished, but they escaped and survived. This photo of our son Predrag was taken in my parents’ house. 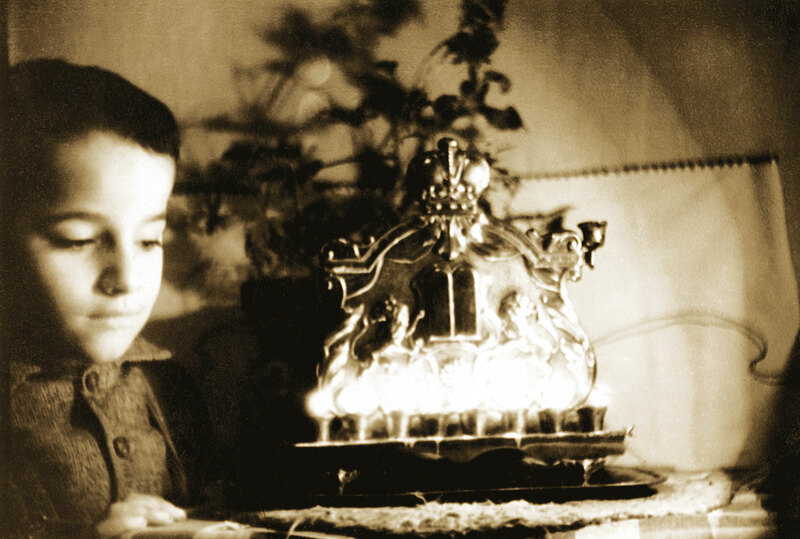 He was only four years old and lit the Chanukah candles for the first time – he was so excited! 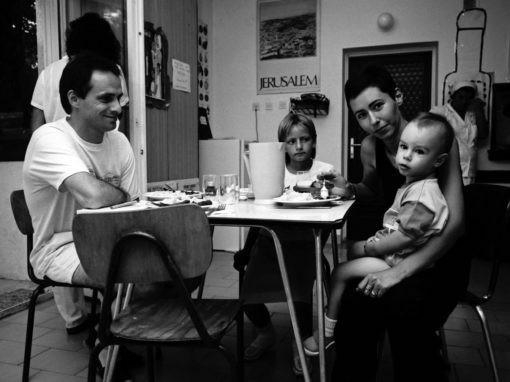 Although my Serbian husband and I are atheists and don’t observe religious customs, we wanted our children to know Jewish traditions, so they celebrated the Jewish holidays with my parents.